Get moving in splendid alpine landscapes! Hiking is a balm for body and soul. Nordic walking has many salutary effects: it strengthens joints, muscles, tendons and bones, resolves tensions, keeps the immune system in motion, makes stress hormones disappear, and increases stamina, coordination and agility. Swing your poles while Nordic walking in Maranza – these four select routes will get you going and guarantee plenty of fun. Get to know our beautiful village of Maranza and its immediate surroundings. Enjoy the sun, the landscape and the view of our charming village (8.8 km). 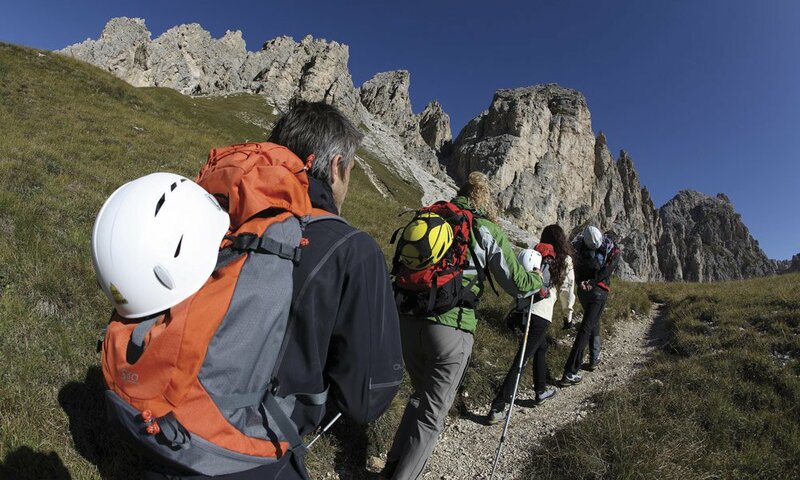 Walk along the Altafossa Valley: accompanied by the striking mountains, on a leisurely path, which is also suitable for beginners during Nordic walking around Maranza (11.2 km). Walk on the paths “Loben” and “Möser” through the silent pine forest and towards the end, look out for the wonderful view of Maranza. Attention, some sections are quite steep (9.6 km)! Follow the black grouse – At the Hühnerspiel (the “chicken game”), walk toward the lodge Moserhütte. This tour is rather challenging, especially the way back through the fresh deciduous forest (7.9 km).